you’ve created several personal calendars to keep track of your activities (business, official, personal, family) — this is new in version 3.5. Whether you’re a director, a project manager, an operations manager, an office manager, a personal assistant or a resource manager, BlueMind’s exclusive feature — views — is going to make your life much easier! You often switch from one calendar view to another, from an overview to your business calendar, and next to your teams’ or your employees’ calendars or those of the resources you manage? With BlueMind, you can use views! Views are as easy to create as they are to use. 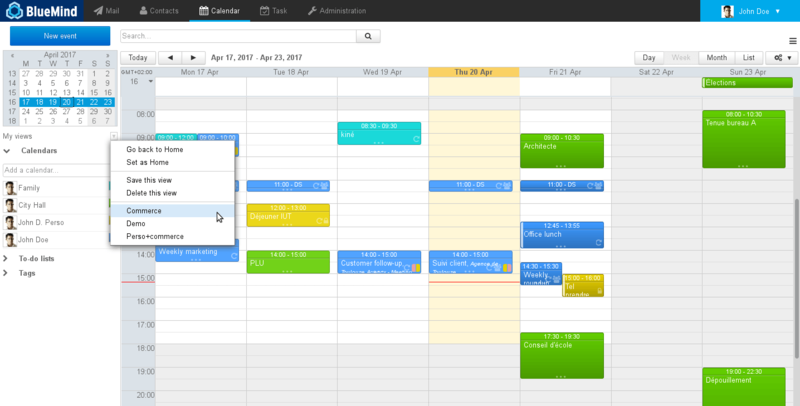 Simply save a calendar view as you’ve set it: employees, resources, organisational or personal calendar in daily, weekly, monthly or list view. This view is saved and can be called up in just two clicks! Here is how you can optimise your activities with BlueMind! 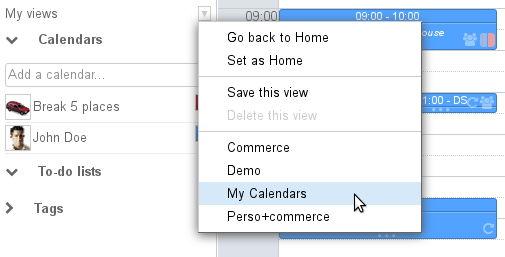 a third one, from an online personal calendar solution, shows your family events. Give it a name, e.g. 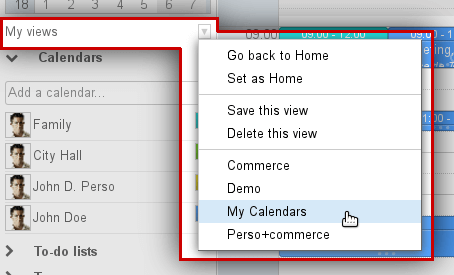 “My Calendars” and click Create view. Done! The new view has been created and you can access it through the same menu. Next Next post: Integrate your Doodle events to BlueMind effortlessly!